We are very excited to share that Title Town Partners has received its first award for Title Excellence for services rendered in 2016! 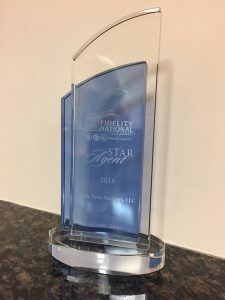 This award recognizes Title Town for being a Star Performer for The Fidelity National Title Group Family. Every year the agency accounts manager’s review the premium received from our agents in our territory. The top 20 to 25 agents for each manager are given appreciation awards for premium received. 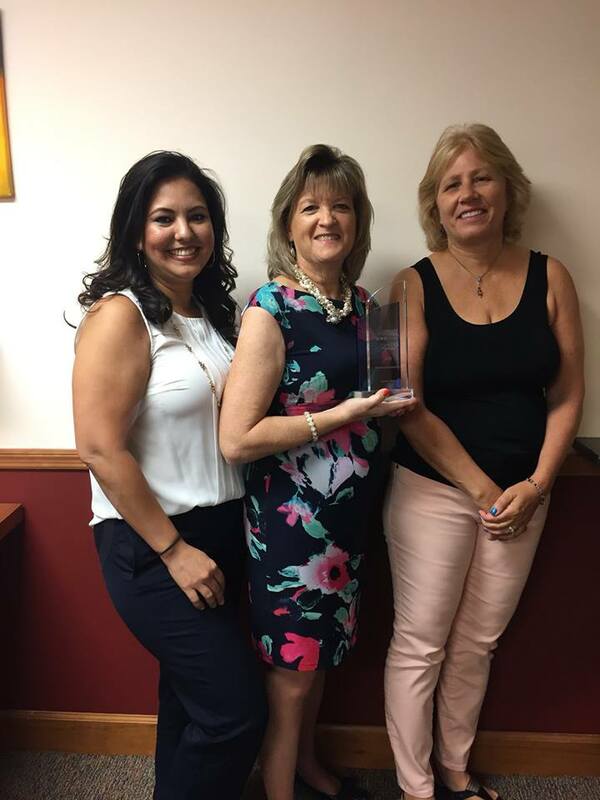 Title Town was 15th on the list of agents and was proudly presented by Donna Lee of Fidelity to Carolyn Khars, Aureann Whalen, Gail Lane, Gail Stormes and Robert Lipply with this award on behalf of Fidelity National Title Group. Title Town earned this award in their first full year as an agent within the Fidelity Family. BIG thank you to Donna Lee and all the folks over at Fidelity National Title Group. We appreciate your support and appreciation.